Without a doubt, the coolest pen a deer-hunting enthusiast will ever receive. 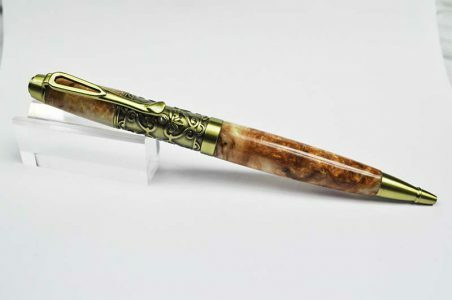 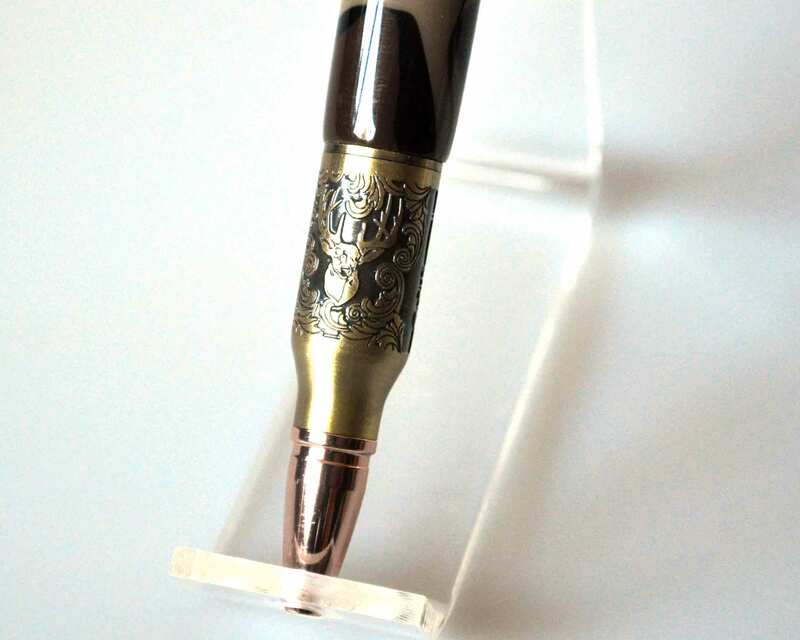 The pen tip features a relief cut scroll engraving of an authentic trophy deer mount. 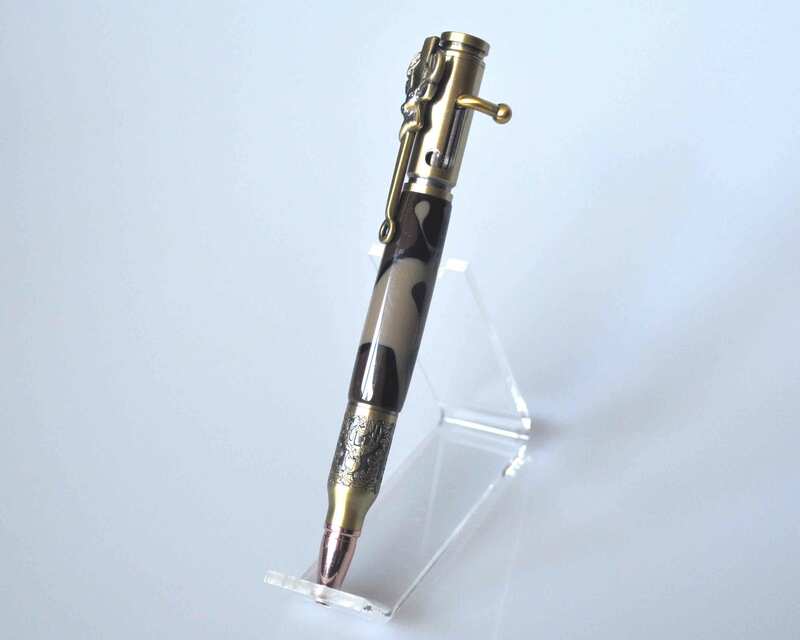 The rustically antiqued plating brings out all the wonderful details of the engraved design. 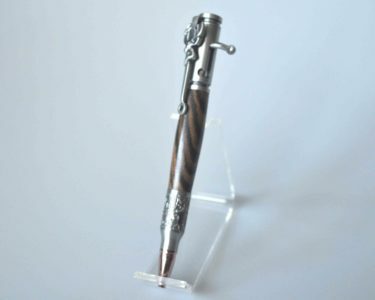 The design emulates the type of engraved game scene scroll work found on real and highly sought after bolt-action rifles. 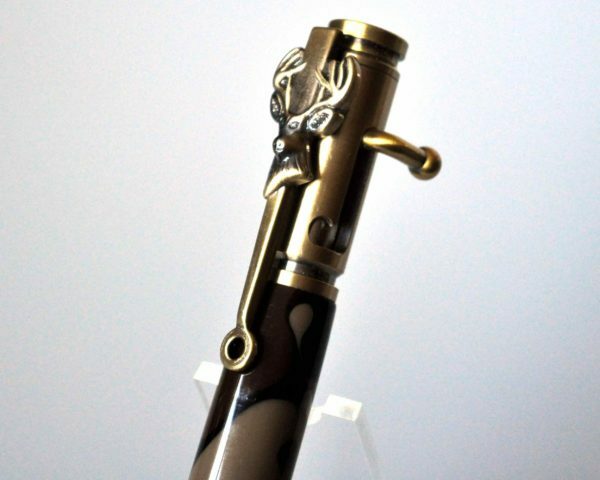 We’ve capped off the deer themed design with a deer mount pen clip with a sight scope. 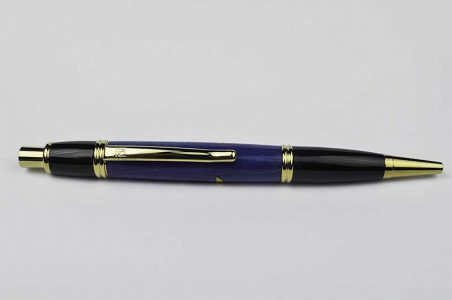 Plus, the Antique Brass finish is formulated to simulate the sophisticated sheen of time-worn brass. 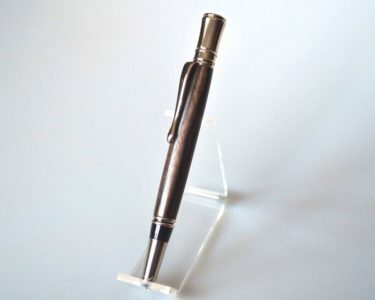 The authentic patina and natural darkening brings out the details of the finish and creates a unique feel with a charm all its own. 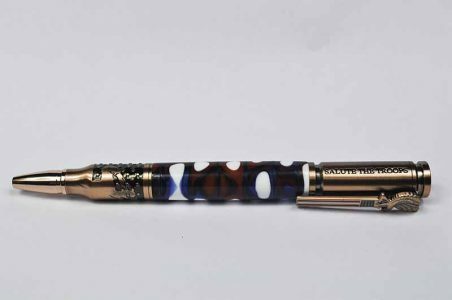 The barrel is made from acrylic and resembles the camouflage worn in the woods.